Whether you are new to the options market and want to know what it means to buy a call option or you’re interested in learning more complex options trading strategies such as how to trade index options you need to understand how options work from the ground up. SMBU has put together free options trading education that goes far beyond "you buy a call option because you want the market to go up and you buy a put option if you believe the market is going down." A complete options trading education should teach you spread trading strategies, how to combine options with different strike prices and offer a solid understanding of how volatility affects options pricing. There are many popular misconceptions about how to trade options such as computer programs do all the work or there is easy money to be made buying out-of the-money call options. We hope this options trading resource will provide you with a solid understanding of options trading basics and inspire you to move forward with a desire to learn more. How to review your options trades. Options Trading Basics: How to Calculate Return on Investment. Principles for Turning Options Trading Ideas into Profits. Options Trading as a Career- How to Find it. Accelerate Your Options Trading Journey; Join a Mastermind Group. Improving your Reward-to-Risk Ratio Using the Butterfly Strategy. Beginner's Guide to Call Options: How They Work and What Happens after You Buy. Put Options Basics: How to Protect a Position or Earn a Profit If a Stock Price Declines. Trading Options for Income: Options Selling Strategies the Credit Spread and Iron Condors. How to Benefit by Understanding Options Trade Probabilities. Credit Spread or Debit Spread: Which Options Trading Strategy is best for you? Spread Trading Mentoring: Three Timeless Lessons you need to Know. How to Trade the Calendar Spread: Options Trading Strategy for Income. Options Trading Basics: Choosing and Online Broker. 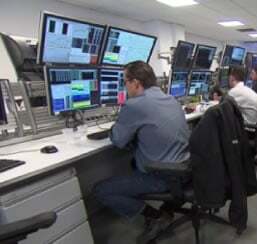 Options Trading Commissions: Considerations When Choosing a Broker. How to Choose an Options Trading Platform. How to Play Earnings with Options. Avoid These Mistakes Most Options Traders Make When Trading Weekly Options. Demystifying the Strike Price of an Options Contract. How to Trade in-the-Money Call Options. Assessing the Risk of Trading an Index Option versus a Stock Option. How the Value of Your call Option can Decrease When the Market Rises. Is Options Trading Better that Stock Trading? Learn the Critical Differences. 5 High Impact Options Trading videos teaching how to apply options spreads for income. The 10 part options trading email course that answers the "must-know" options trading questions. Admission to the live, interactive Options Tribe meeting the first Tuesday of each month at 5pm EST. Organized links and Glossary of our best articles and important options trading terms.